Okay so… no judgement: We’re not picky drinkers over here in my house. I’m mostly a white wine girl but I’ll do the occasional mixed drink. Toss a little tequila in with some fruit juice and whatever else and I’ll be your bestie. Same with hubby – and he doesn’t discriminate at all. But there’s something to be said for getting the perfect combination when making a mixed drink. Here’s an awesome gift for the party girl or guy on your list – or for yourself – it’s the best way to make the perfect drink. Shockingly, this product is called The Perfect Drink. This product is your fail safe way of making a drink with exact measurements. It’s fool proof? How? The product itself is a scale. It hooks up to an app that will tell you exactly how much to pour and when to stop. It’s literally measuring in real-time as you pour. Over-pour? 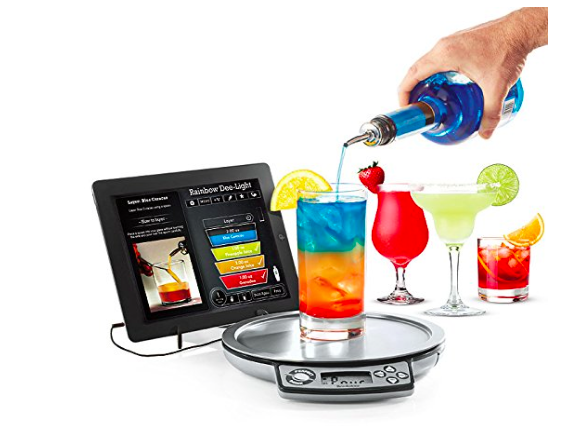 It’ll adjust the measurements of everything else in your drink right on the spot. 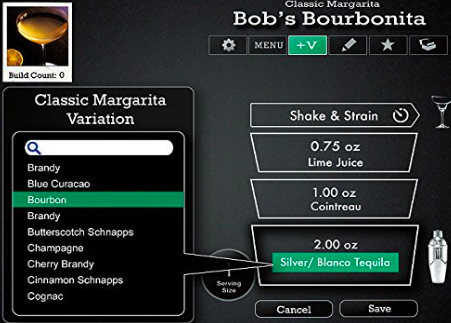 The Perfect Drink app has over 400 recipes for you to try from – or you can make and input your own.